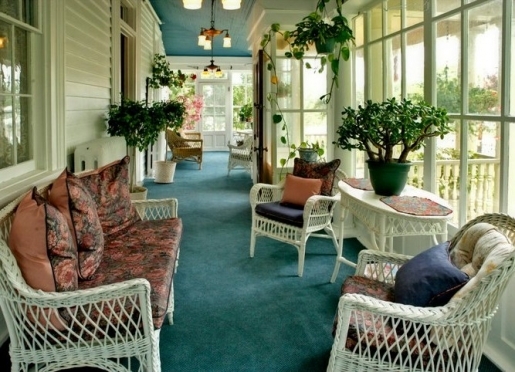 Built in 1840 and enlarged in circa 1900, the Wilbraham Mansion, now a popular Victorian Cape May, New Jersey B&B, is truly a home of expansive proportions. Although an integral part of the Cape May, NJ historic tours of old homes and mansions for years, the Wilbraham Mansion remained a private residence until December of 1988. 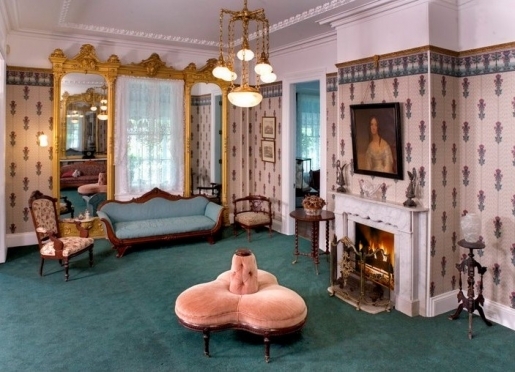 John Wilbraham, a wealthy Philadelphia industrialist, brought Victorian Inn style into this magnificent home and made it his permanent residence. 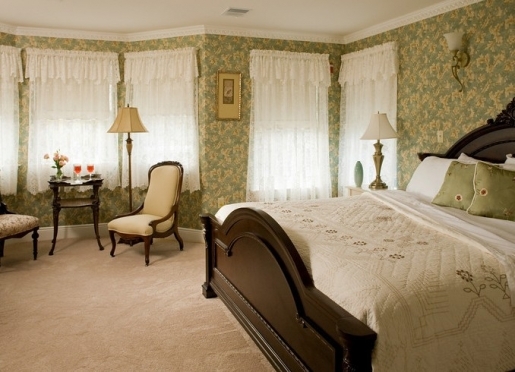 Today, the Cape May, NJ Bed & Breakfast mansion retains the ambiance and time-honored tradition in grandeur, combining elegance, comfort and a relaxed atmosphere. 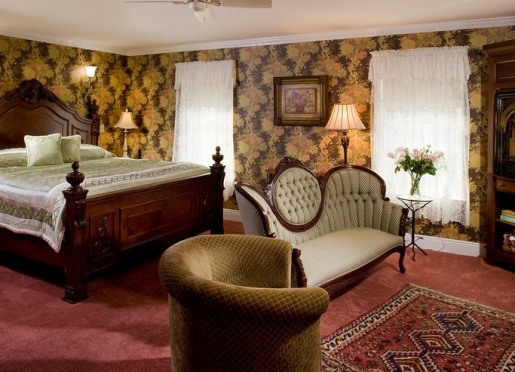 You'll step back in time with our period reproduction wallpapers and some of the original furnishings of the Wilbraham family. 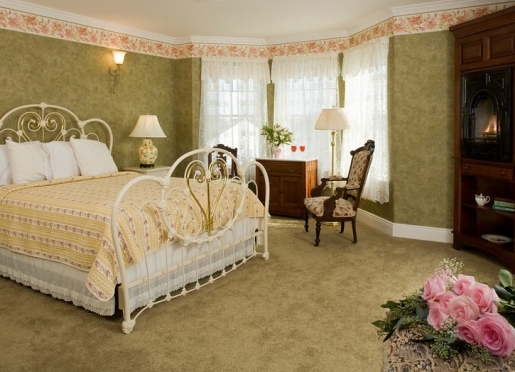 Call (609) 884-2046 today to book your Cape May, New Jersey Bed & Breakfast. 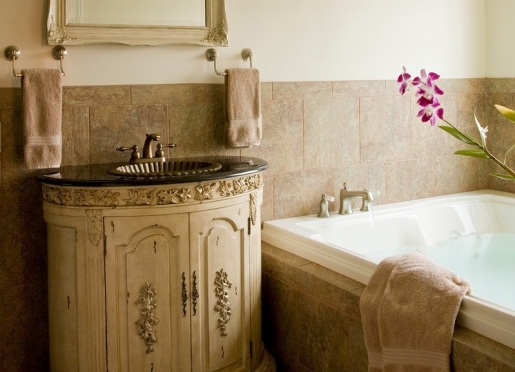 Bring your family or friends, or enjoy a pampered weekend alone and treat yourself to luxury spa services daily. 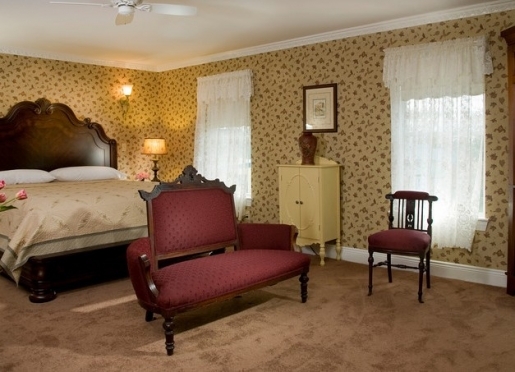 If you're looking for romance, relaxation or simply a Bed & Breakfast experience that is second to none - visit the Wilbraham Mansion, a Victorian Inn and Suites unlike any other B&B in Cape May. Start making your own memories by the sea! 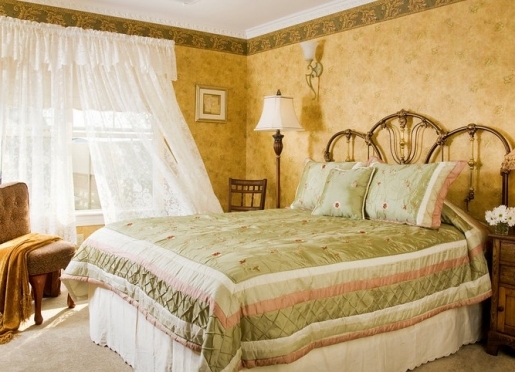 You'll find our B&B to be warm, friendly and comfortable! 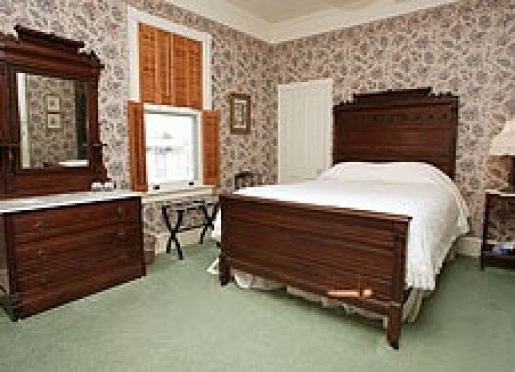 The Wilbraham Mansion offers more than the typical comforts of a Bed & Breakfast. 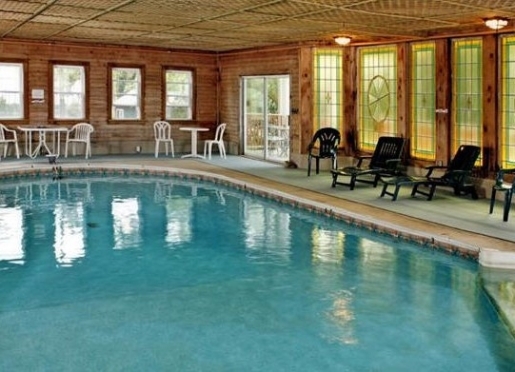 Our 20 x 40 foot indoor heated pool represents an amenity no other Cape May, New Jersey B&B can offer! Experience today's comforts and yesterday's Victorian elegance in one of the oldest and finest homes overlooking Wilbraham Park. The Wilbraham Mansion, a Cape May, New Jersey Bed & Breakfast, was built in the 1840s and enlarged in the 1890s. 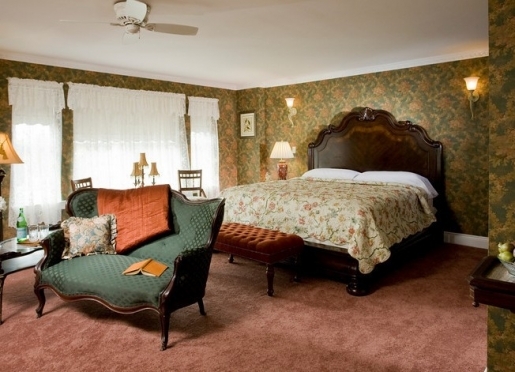 It is a high Victorian mansion with more than 20 Victorian style rooms and suites. 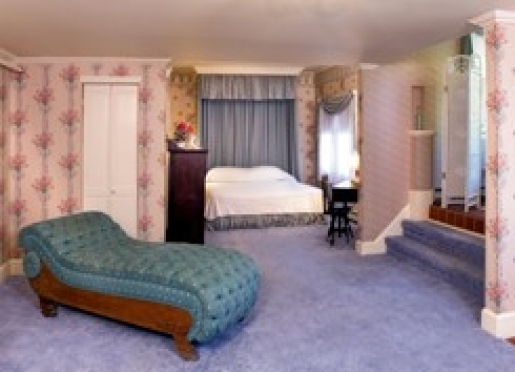 The interior design features of the Wilbraham Mansion rooms and suites include ornate plaster moldings and original eight feet high French doors with 19th century beveled glass. The five original diamond-backed, gilded mirrors convey grandeur and opulence rarely seen in a public building today. 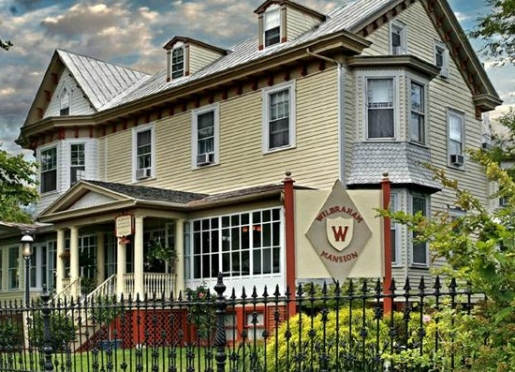 The Wilbraham Mansion Suites are in a newly designed building complementing the design and deacor of the historic Wilbraham Mansion, yet containing all the modern amenities you could ever need during your stay. 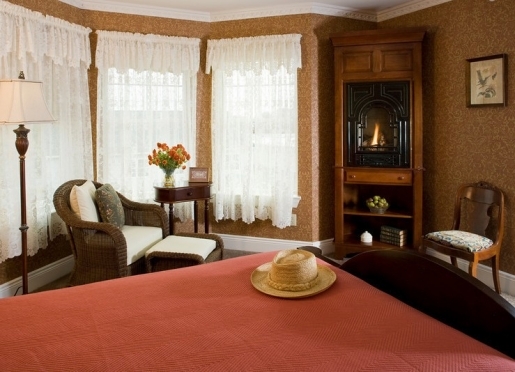 Each Cape May Bed and Breakfast suite features an LCD TV, DVD player, Satellite TV service, gas fireplace, two-person Jacuzzi, whirlpool bath, Salon Spa, two-person shower, mini refrigerator, ceiling fan, and individual temperature control. The building is fully handicapped accessible, and complete with an elevator. 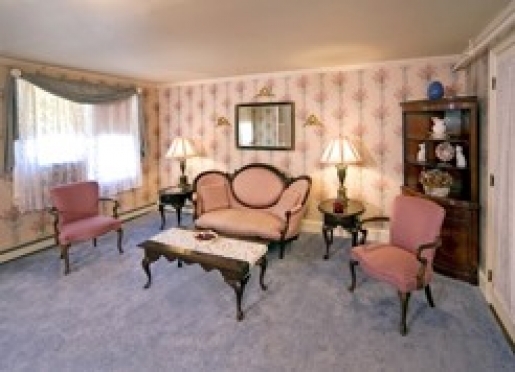 All of the Wilbraham Bed & Breakfast rooms and suites are air-conditioned, have cable television and private baths. Each reservation includes a full, cooked breakfast (served at 9 am), afternoon tea (served from 3 to 5 pm) and use of the indoor heated pool. 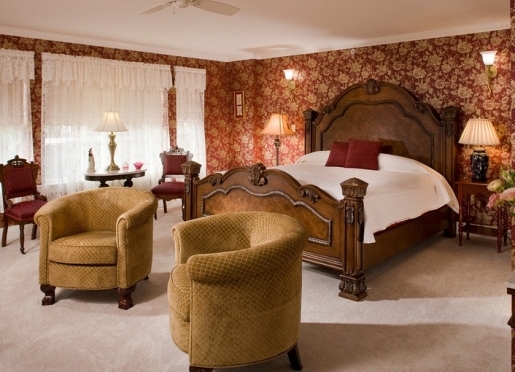 Enjoy the stately elegance of the Cape May, New Jersey Wilbraham Mansion. Start making your own memories by the sea! 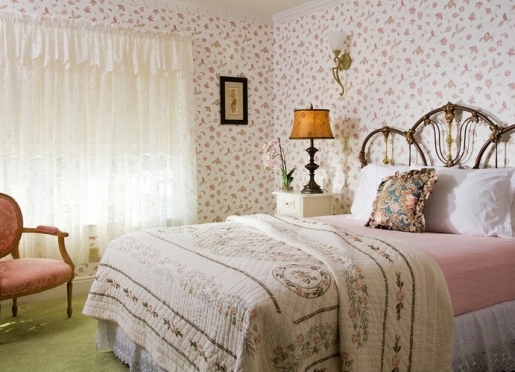 You'll find our B&B to be warm, friendly and comfortable. Check dates and availability online or call us at (609) 884-2046 today! 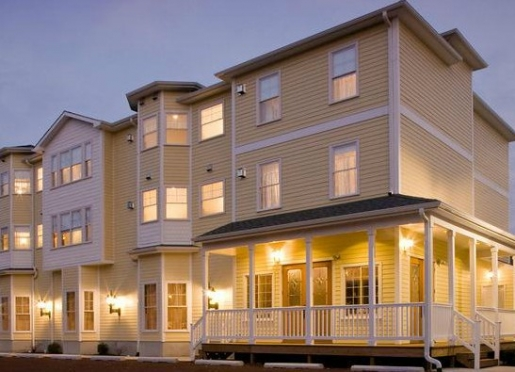 Located in heart of West Cape May Business District, directly across from the Wilbraham Park. 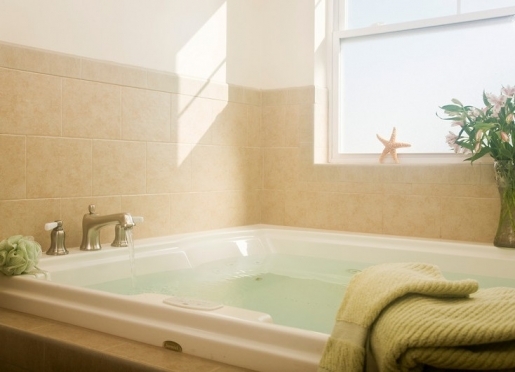 Conveniently located to many Shops and Restaurants, Eight Minute Walk to Beach. Eight Minute Walk to Washington Street Mall. 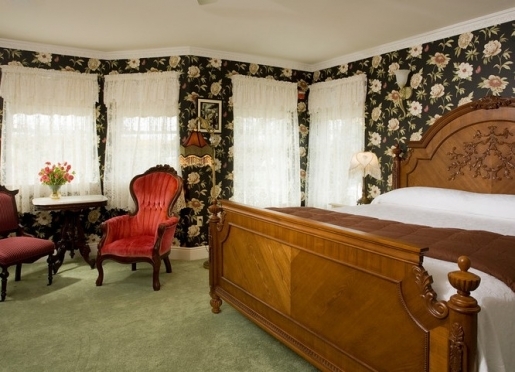 If you're looking for romance, relaxation or simply a New Jersey Bed & Breakfast experience that is second to none - visit the Wilbraham Mansion, a Victorian Inn and Suites unlike any other B&B in Cape May, New Jersey you've seen. Start making your own memories by the sea. Give a gift certificate to the one YOU love today! 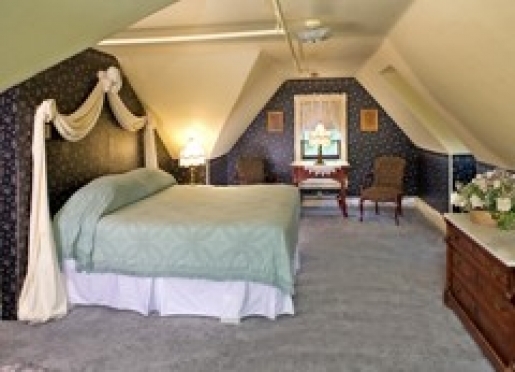 Wilbraham Mansion Gift Certificates are available in any amount and are valid for one year. 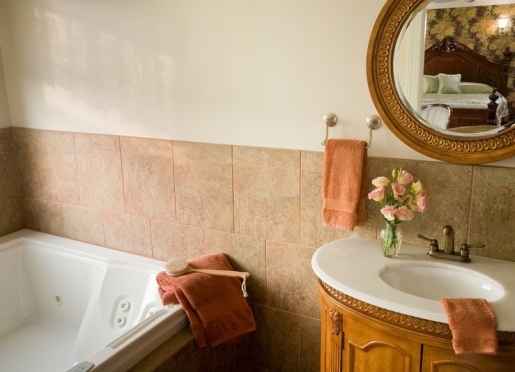 Located at the very tip of New Jersey, and bordered by the Atlantic Ocean and Delaware Bay, the Jersey Cape is an ideal vacation destination. From action packed boardwalks to quiet beaches, there is something for everyone. Play a round of golf, stroll through nature trails, take a fishing trip, enjoy the thrill of boardwalk roller coasters, or plunge down a water slide. Other great attractions include the Cape May County Park and Zoo, the Wetland's Institute, Leaming's Run Colonial Gardens, Historic Cold Spring Village, Hereford Inlet Lighthouse, Cape May Lighthouse, Cape May County Historical Museum, and the many other fine local museums. Come frolic in our surf, relax on our beaches, stroll our Boardwalks, tour our Victorian Inns, relive our past, climb our lighthouses, browse our shops, fish our waters, enjoy an outdoor concert, be part of our night life, visit our botanical gardens, spend a day at our park & zoo, hunt for "Cape May Diamonds", sail our bays or experience our natural beauty at one of our campgrounds. No matter the season, there's always something to see in Cape May, America's First Seaside Resort. Stroll our historic streets lined with beautiful Victorian homes, dine in our award-winning restaurants, or spend the day relaxing on the beach. Discover Cape May County’s history – and have fun doing it! Climb to the top of the Cape May Lighthouse and stop by the Hereford Lighthouse, relive the county’s patriotic experiences during World War II at Naval Air Station Wildwood or see what life was like here in mid 1800's with a visit to Historic Cold Spring Village. Enjoy the Ocean City Pops, the Cape May Jazz Festivals – both spring and fall – or catch a play at Cape May Stage, a professional Equity theater in a small, intimate setting. For classical music lovers, the Cape May Music Festival is six weeks of pure enjoyment with chamber groups, the Bay Atlantic Symphony, pianists and others who perform at convention hall and Church of the Advent. The East Lynne Company, another Cape May theater, produces plays of American heritage as well as works of and by American literary figures. Film festivals are a more recent addition to a growing, year-round arts calendar. For the antique lovers, shops are everywhere especially along the Route 9 corridor that runs the length of the country. In July and August, resorts sponsor an abundance of summer concerts, most of them free, outside and with the ocean and sunset as a backdrop. Sit on the sand, spread out a blanket or grab a beach chair and enjoy. Outdoor art shows along Boardwalks, promenades and tree-lined paths at historic sites showcase talent that often gets inspiration from local scenes. For youngsters, there’s no more natural place to have fun than the Wetlands Institute with salt marsh trails, aquariums filled with turtles and horseshoe crab exhibits – or check out those crabs up close and personal along the bay especially in the spring when literally thousands come ashore to lay eggs that help provide nourishment for migrating red knots. Cape May Nature Center right on the harbor in Cape May is busy with harbor safaris, guided kayaking trips, biking tours, gardening programs, family hikes, and beach explorations. And don’t forget the Cape May County Zoo – it’s home to hundreds of animals including zebras and giraffes who live in the natural savanna. A dozen or more golf courses – public and private, 9 holes or 18, are located throughout the county. Birding enthusiasts already know that Cape May is the birding capital of North America – and novices and would-be birders are always welcome to join the fun. Cape May Point is a great place to start with marked, easy-to-follow trails to help even the novice birder spot ducks, swans, osprey, and other shore birds and wildlife along the way. Straddling the border the Cape May-Cumberland border, Belleplain State Forest encompasses 21,000 acres of Pinelands. One of Southern New Jersey’s premier camping destinations, it¹s a great place for hiking, biking, bird watching, canoeing and exploring. The county also maintains several parks, open to the public at no cost. One of the newest attractions, the Villas Wildlife Management Area is quickly becoming a favorite spot for birdwatchers, walkers and anyone who just wants to see nature up close and personal.